View More In Wood Glue. 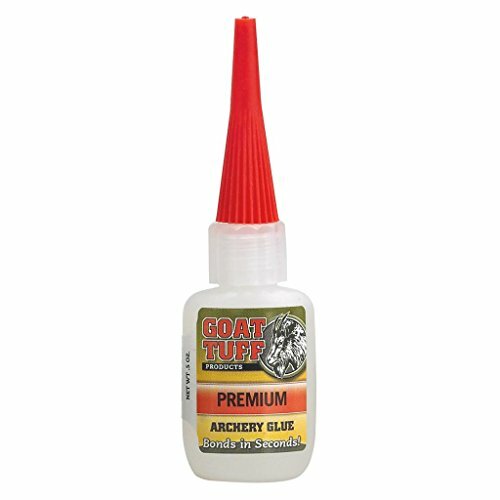 Goat Tuff® Premium Grade glue is a powerful, easy-to-use cyanoacrylate glue that's formulated to work with a broad range of materials, including plastic, rubber, leather, metal, wood, and more. It bonds quickly using a small amount -- a 0.5-oz bottle will fletch approximately 5 dozen arrows! If you have any questions about this product by Goat Tuff Products, contact us by completing and submitting the form below. If you are looking for a specif part number, please include it with your message.